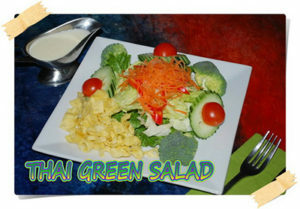 Mixed green salad and crispy wontons with a choice of peanut sauce or creamy garlic dressing. 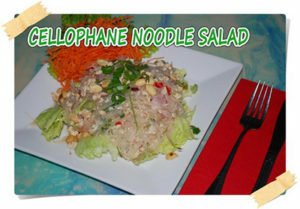 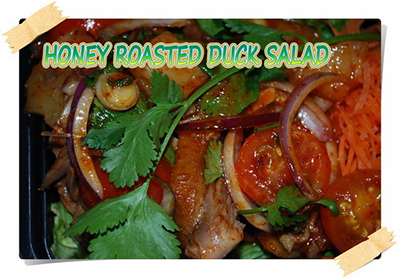 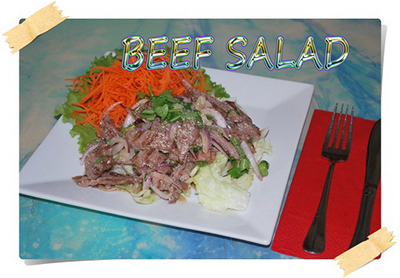 tossed with red onions, scallions, cilantro, lemon grass, mint virnaigrette served on a fresh bed of lettuce. Minced chicken tossed in a spicy lime dressing with a exotic blend of spices and served on a fresh bed of lettuce. 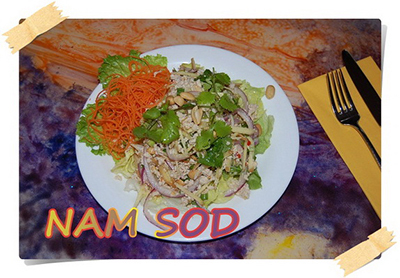 Minced chicken tossed with spicy lime vinaigrette with cellophane noodles, scallions, cilantro, red onions and roasted peanuts with mixed salad. 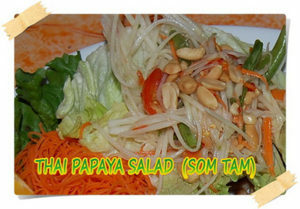 Julienne green papaya, roasted peanuts, string bean, and tomatoes seasoned with a spicy lime dressing. 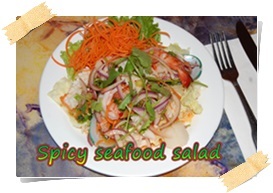 Parade of fresh shrimp, scallops, mussels, squid cooked on low heat to perfection, tossed with spicy lime sauce and mixed greens. 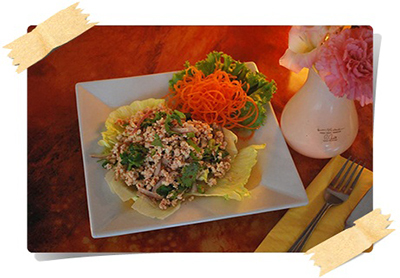 Minced chicken, fresh ginger, roasted peanuts tossed in a spicy lime dressing with an exotic blend of spices and served on a fresh bed of lettuce.